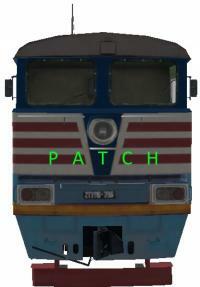 This patch adds (or fixes) the second section of the locomotive. All locomotives 2ТЕ116 now you can go in the rear cockpit, in the cabin there are sounds, lights visible not only from the cab, but the street and the motion of both the first and the second section is burning right rear red lamp. So as fixed the brakes in the rear sections of locomotives.